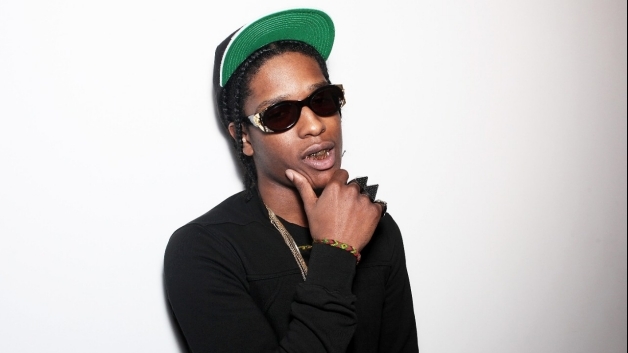 Rakim Mayers, better known by his aka A$AP Rocky is rapper and director. I'll save you the nagging curiosity and say yes, he was named after the second half of the Eric B. & Rakim duo. He was born and raised in Harlem, and released the mixtape LiveLoveA$AP in 2011 with the in-demand producer, Clams Casino. Southern rap. You love it, or you hate it. It's a slow, stoney, carefree drawl of raps and rhymes with beats to match. If you like Drake or Lil' Wayne, or anyone in the Cash Money crew, then you are probably going to love A$AP Rocky. Rocky’s Harlem roots definitely has it's influence in the album. Although the Southern haze is prevalent, you couldn't mistake picking up on the Wu-Tang influence on this record. His popularity is on the rise, especially across the pond. On December 5, 2011, the BBC announced that he had been nominated for the BBC's Sound of 2012 poll. The States haven't slept on Mayers though. Stereogum placed the album at number 9 on its list of the "Top 50 albums of 2011". Mayers is not new to the rap game. He's been rapping since he was 8, and released LiveLoveA$AP at 22. Recently he signed a record deal with Sony for 3 cool million. Not bad. A$AP Rocky will be on a stage at Coachella this year. Be sure to check him out! He definitely has chops, as seen at this vid from a concert at Corona Theatre, Montreal, Canada.